Biomol is pleased to receive the following awards for our outstanding distribution performance and corporate responsibility activities. 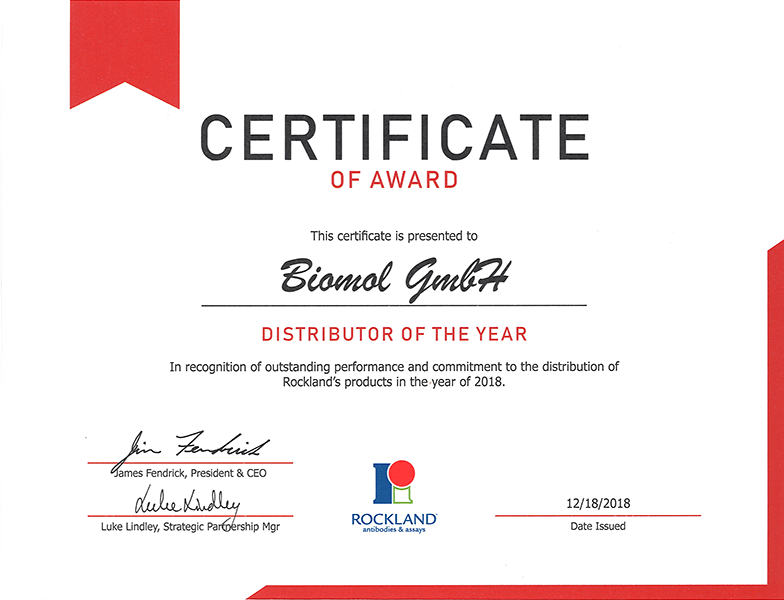 In recognition of outstanding performance and commitment to the distribution of Rockland's products, Biomol GmbH received the Distributor of the Year Award in 2018. 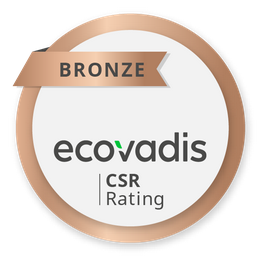 Biomol GmbH has has earned EcoVadis' bronze rating in recognition of their corporate social responsibility! 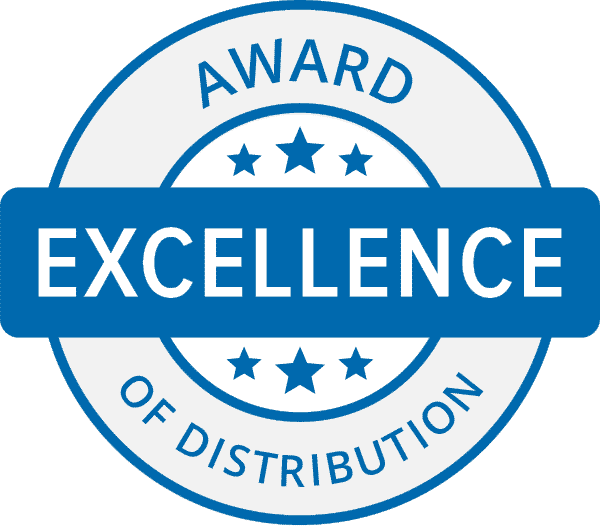 Biomol GmbH received the Excellence of Distribution Award from AAT Bioquest in 2015.